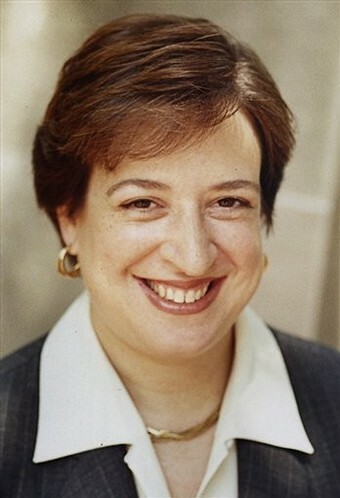 OK, so Solicitor General, and former Harvard Dean, Elena Kagan has now been nominated to fill the seat of Justice John Paul Stevens. But while others go looking for her judicial philosophy and look into crystal balls to see how she will rule in the future on their pet issues, I want to know what kind of people she has actually represented. So I checked out Tom Goldstein’s 9750 Words on Elena Kagan (more than you ever wanted to know) that is up at ScotusBlog. And I went looking for the private practice area, wanting to know if she had ever represented some individual, somewhere, in some kind of distress. I had the same interest in Sonia Sotomayor when I went looking into “Sotomayor & Asscociates” (and found no associates). Did Kagan appear in the trenches, battling for the little guy against powerful interests? Upon completing her clerkship, in 1988, Kagan went to work as an associate at Williams & Connolly in Washington, D.C.
That was it, out of 9750 words. From there she went in 1991 to the law faculty of the University of Chicago. A three-year stint at BigLaw seems to be the sum total of her private practice. While I don’t hold out much hope she did anything other than represent corporate interests, there is the slim hope that she helped an individual. Maybe a pro bono representation of some kind? Does anyone know anything about this three-year empty hole in the resume where she worked for BigLaw? Who did she represent? Why did she choose to go that route? Why did she find it more desirable to go elsewhere? Did she ever sit at her desk with a box of tissues for a client? Any client? Will any of those questions get asked at the confirmation hearings? Unlikely. We will probably see lots of questions about the usual political issues; questions which she won’t answer, of course. Update: Her father was a lawyer that worked for tenants. He died in 1994, while Elena was 34. I’d like to know if she did any work at her father’s firm, and perhaps saw some of the sad faces that came through the door. At least that would be something, as we get ready for a Supreme Court where 100% went to Harvard and Yale, and few seem to have done actual legal work for people in need. Update #2: Max Kennerly has a round-up of the prior legal experiences of the Supreme Court justices that shows a real dearth of private experience representing individuals. Kennerly draws a different conclusion than I do about the significance of it, but it’s worth noting that the current level of trench-lawyer experience representing individuals against major interests might actually be zero. …A trial lawyer knows about raw human need and the law’s rough edges. It is a trial lawyer’s job to find the intersection of terror, fear and tears with the high doctrine and principle of the law. Not one member of the current court has ever sat with a client and his family during jury deliberations to discuss what will become of a family should the client be sent to prison. Not one of these legal scholars have ever told a person that the law’s reach will not embrace the harm they have endured. I cannot fathom Scalia counseling a client about sovereign immuity…. I like your concern about whether a nominee has experience in the trenches. That is a kind of diversity, just like race, religion, and gender, that matters, if we want a Supreme Court that has a broad background and range of experience from which to draw in deciding cases. We are doing better on gender and race, but have a pretty narrow court when it comes to educational background (all Harvard and Yale!) and work experience. Among other things, there is virtualy no experience with work as trial judge on this Court. But I do hope that if Obama gets more appointments, we will see some more diversity in terms of education and work experience.